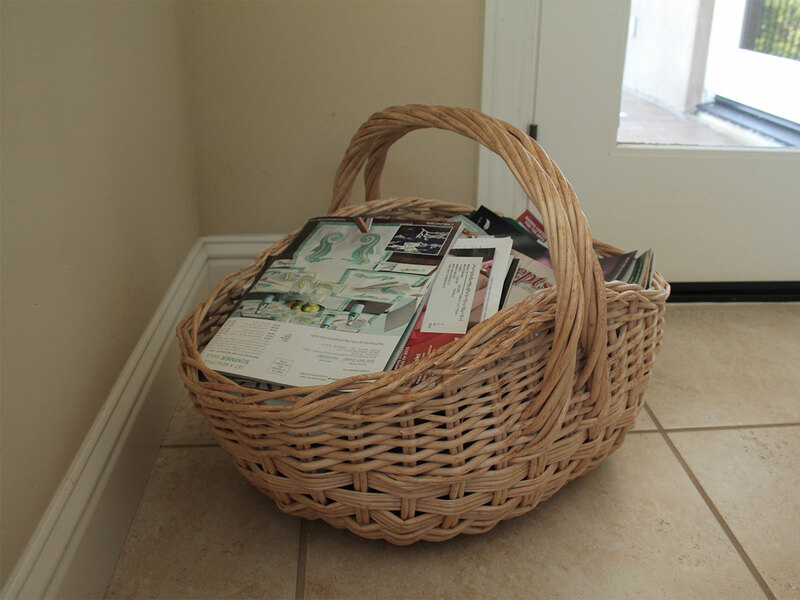 Some people like to keep a magazine rack to save magazine for future reading or for others in the family to read. Over time, the pile of magazines can really start to stack up. Remember to discard the magazine stack and do it preferably in a recycling manner. It is a good idea to have a few different bins in the garage for storing your recyclables until it is time for a pick up by your garbage company, or a drop off at a local recycling center. Paper, plastics, glass, and metals are the common materials to recycle, but check with your local garbage company or recycling center. Keep a routine of putting these items in these bins as they build up in the house over time. Here is a great video by for dummies.